Our Main Concours event is a gathering of the rarest and most incredible cars ever built, but one can’t help but wonder which cars might be gathered on the lawn in 50 years’ time. The Future Classics feature looks to address that question, with a gathering of the latest one-offs, limited production or handbuilt luxury cars. These are the Concours stars of the future, gathered together in the present. 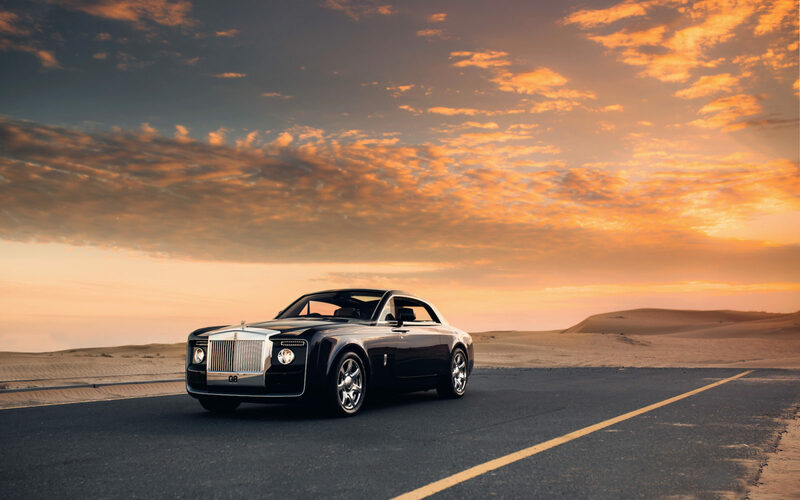 The collection is crowned by the Rolls-Royce Sweptail. Upon its reveal on the shores of Lake Como in May 2017, Sweptail heralded a remarkable milestone for the iconic British marque Rolls-Royce. This most striking motorcar was commissioned by one of the world’s foremost exotic automobile collectors and made history in being the first in-house designed and fully coachbuilt Rolls-Royces in over half a century. It is also one of very few two seater Rolls-Royces to have ever been created by the marque since its inception in 1904. Sweptail’s wonderful sense of occasion, enhanced by the owner’s personal attention to detail, is perhaps best demonstrated by the secret “his and hers ” attaché cases that deploy on command from the B pillars and to cap it all, a centre console that effortlessly deploys the owner’s favourite Dom Perignon vintage Champagne, chilled, along with two fine cut crystal flutes. Joining the Sweptail is a car that is the product of one of the oldest partnerships in automotive design history; Aston Martin and Zagato. This relationship stretches back more than six decades, kicked off by the gorgeous DB4 GT Zagato, and is still flourishing to this day. The Aston Martin Vanquish Zagato Speedster, on display here, is the very latest example. The Speedster is one-of-28 due to be built, combining a beautiful hand-crafted open-top body with the 592bhp 6.0-litre V12 found in Aston Martin’s Vanquish. It’s also part of a family of Vanquish-based Zagato models, including the Coupé, Volante and Shooting Brake.